During the 1960's VW van and bus became most popular, these were a part of culture movement. Well if you like the VW campers and wish to drive them out every weekend but cant, then these VW products are sure to give you the same VW camping feeling around the year. VW Sidebus Sidecar Motorcycle: The VW Sidebus Sidecar Motorcycle looks really awesome. 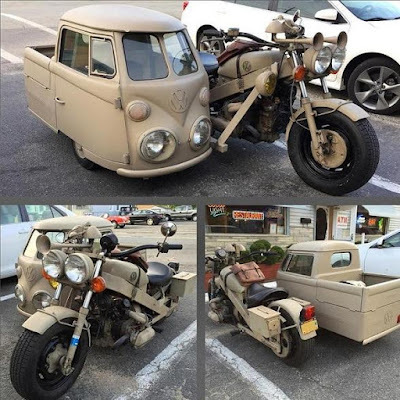 It's a customized job on a Volkswagen themed sidecar motorcycle and the sidecar is in the shape of a classic Volkswagen Pickup; what more its seems it has the original VW parts - VW engine, VW brakes and wheel. More. 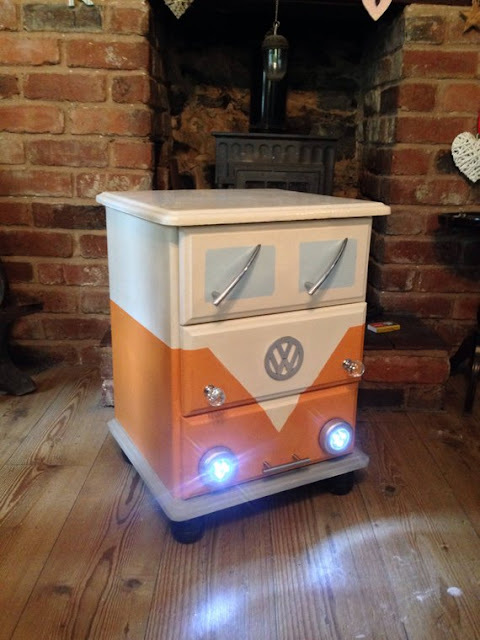 VW Campervan Bedside Drawers: The VW Campervan Bedside Drawers feature windscreen wipers, split screen windows, and even has the VW emblem for that finishing touch. The drawers are handpainted with Annie Sloan chalk paint, drawers are lined with campervan themed paper and it lights up. Buy Now. 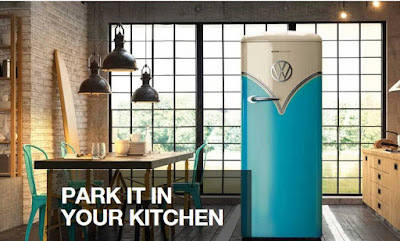 VW Camper Fridge: The VW Camper Fridge isn't one of those fridges that needs to be parked in your kitchen, its a beautiful combination of iconic design of the 60s with the sophisticated technology of today. 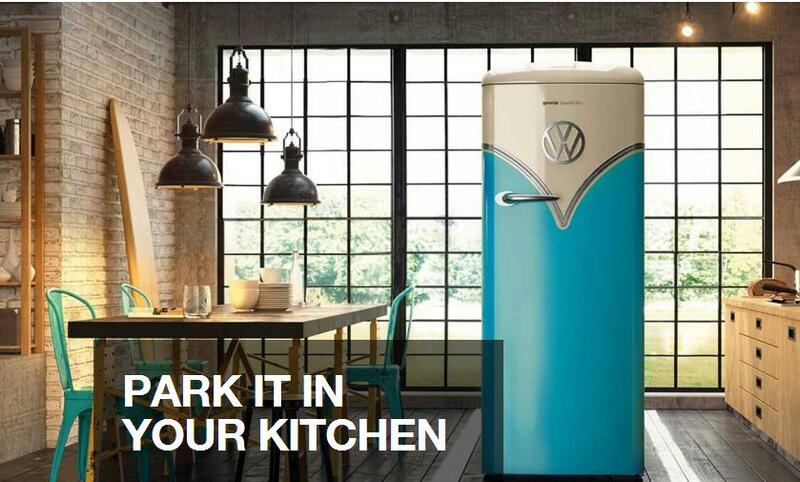 It deserves special attention, its inspired by the famous Volkswagen van; the new Gorenje Retro Special Edition fridge features onAir with DynamiCooling, deep door bottle shelf, CrispZone with HumidityControl, Ledlight, FreshZone and top energy efficiency - A+++. Buy Now. VW Campervan Desk: Danbury Motorcaravans has got numerous customers happy with their customization challenges over the years, such as the VW campervan desk in their reception. More. 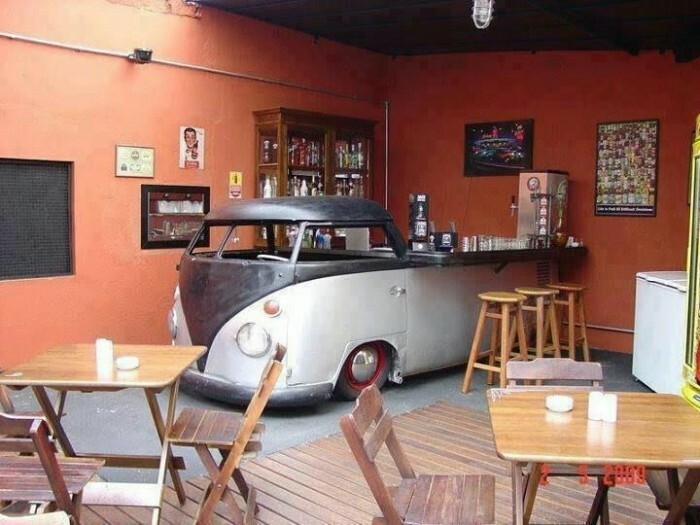 VW Homebar: If you can have then you shouldn't miss to have a cozy homebar where after a hard days work you can go and relax while having your favorite beverage. 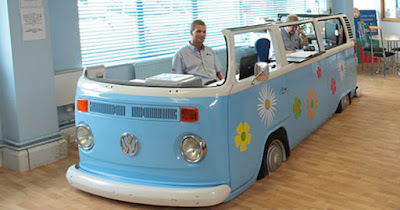 And things take an interesting turn when you have VW station for your beverages. More. 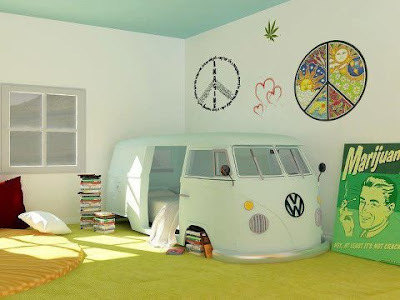 VW Camper Bed: Who doesn't like their homes or bedrooms not to be special but all of us cant, but if you have a big bedroom then this VW Camper Bed is sure to make your bedroom a lot special. More. 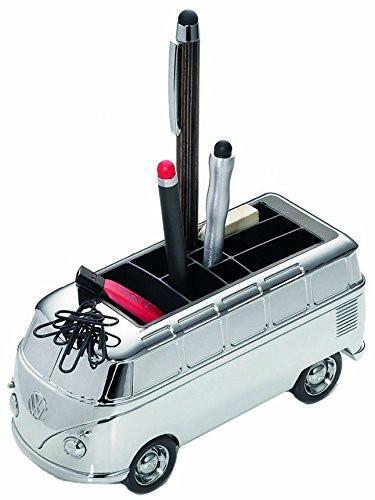 VW Camper Desk Organizer: The Silver Forever T1 VW Camper Desk Organizer comes in the shape of a VW Camper, features a friction motor to glide across the desk, hidden magnet for paperclips, six store spaces and is just the perfect stationary holder you need to keep your desk organized. Buy Now. 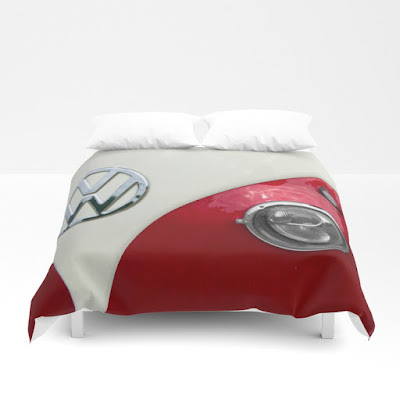 VW T2 Split Screen Dub Duvet Cover: The VW T2 Split Screen Dub Duvet Cover features vivid prints on the front while comes with a cozy white reverse side and gives you yet an other reason for not leaving your bed. Buy Now. 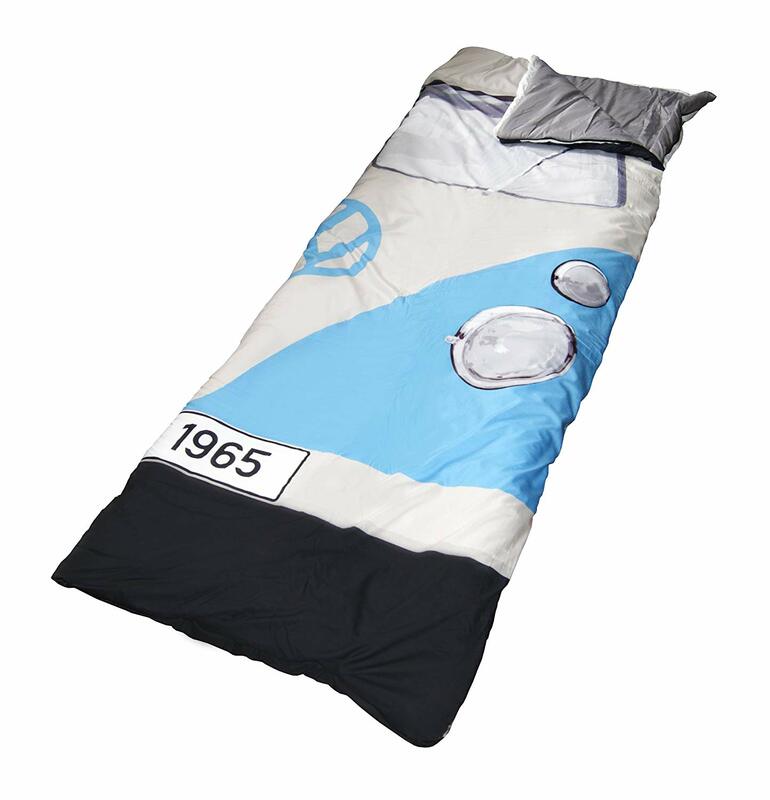 VW Campervan Sleeping Bag: The VW Campervan Sleeping Bag is just the thing you need for your next camping adventure. It can be used as a single sleeping bag or fully unzipped double blanket. This engine-less vehicle steers you into a warm slumber while you gaze at the stars from your tent. Buy Now. 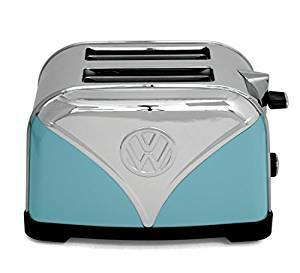 VW Toaster: The VW Toaster is a 2 slice toaster with bagel toasting function, features an easy to adjust browning control and reheat and defrost settings. Buy Now. 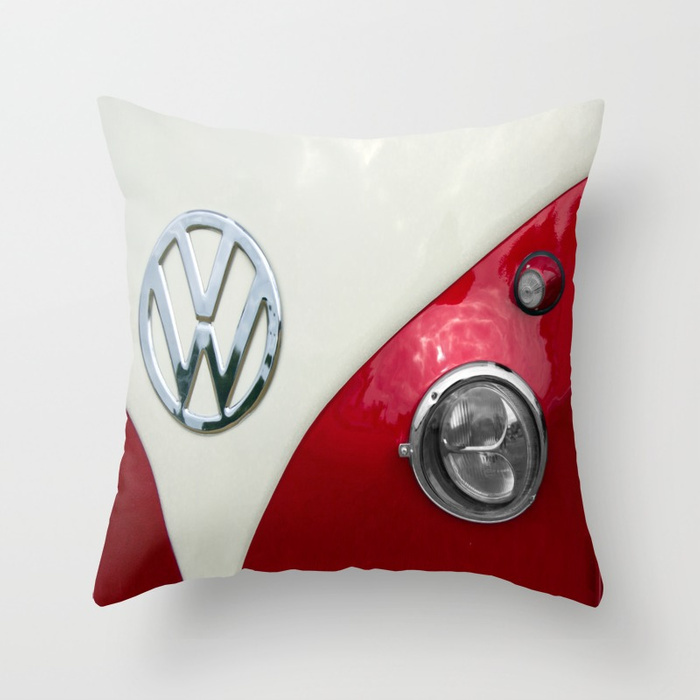 VW Split Screen Dub Throw Pillow: The VW Split Screen Dub Throw Pillow is perfect to upgrade your home décor with its trending patterns, cool designs and colors. Buy Now. VW Picnic Hamper and BBQ: The VW Picnic Hamper and BBQ gets you 2-in-1 BBQ and cool bag; the bag features insulated silver lining inside the bag. Buy Now.